Ideal Tax Solution, LLC is informing all clients who have not yet filed their 2012 tax returns to do so after learning the IRS has now finished programming its informational and processing systems. The newly updated systems are now online and ready to handle late season returns. Anytime changes are made to the tax code, a certain amount of confusion is expected. 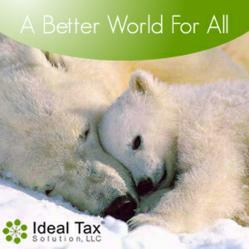 Ideal Tax Solution, LLC maintains daily interaction with the IRS as part of their tax resolution process. By doing so, their tax help specialists are able to stay current on any actions or announcements by the IRS deemed important in determining a taxpayer’s liability. Since the tax code is constantly changing, understanding and being knowledgeable of those changes can have a dramatic impact on an individual’s or company’s tax status. A recent notification from the IRS informed Ideal Tax Solution of their ability to now process any remaining tax returns by the April 15th deadline. To date, the IRS has accepted 2012 tax returns in phases as it incorporated processing system modifications to reflect changes in current law. The adjustments were implemented as required by the American Taxpayer Relief Act (ATRA). Congress enacted the resolution in January. This final upgrade to the 2012 tax code now enables taxpayers interested in claiming residential energy credits on Form 5695 to file their returns. It also encompasses various business tax credits and deductions now available. Anytime changes are made to the rules and regulations of the tax code, a certain amount of confusion is expected. That is precisely why Ideal Tax Solution encourages its tax clients to ask questions and be fully engaged in the preparation of their returns. Although a significant number of taxpayers have already filed their returns, taxpayers who have put off filing in lieu of the expected tax system revisions are now in a better position to optimize their tax responsibility and increase their refunds. Ideal Tax Solution provides a full range of tax preparation services for maximizing 2012 tax refunds and minimizing future tax debt problems.